Forex brokers rating is an excellent and helpful recourse for every trader that facilitates the process of choosing a Forex broker. A rating is an opportunity to get objective and detailed information about a broker. It’s quite tough to select the broker among many options especially for the beginner. So to make it easier you can use rating that estimates the quality of company’s services. Usually ratings are built up based on the comments and scores of the customers, so you can make the conclusion if the clients trust the specific company. By means of our rating you are able to make your own choice of broker to start or continue your trading career. Forex trading is becoming increasingly popular these days. Due to its high potential of profit margin, it fascinates traders from all around the world. Forex market is considered one of the best and largest markets with a daily transactional volume of about 5.3 trillion dollars. It can be accessed online 24/5. Traders can trade a range of assets in the forex market including metal, stocks, currencies, commodities, indices, and contract for differences (CFDs). To start trading, you need to open an account with a Forex broker. 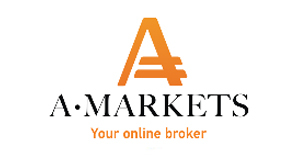 Brokers provide a trading platform that connects to the forex world. Here we share an important piece of information concerning the selection of a forex brokers for opening an account. Traders often become victim of underrated forex brokers, don’t be one of them! This, however, is not the only cause for what you need to take great caution before opening an account. Other factors such as trading platforms, type of accounts, trade execution and methodology are also very important. Moreover, the efficiency of deposits & withdrawals, educational resources for traders and customer support is equally crucial to look upon before you make your final decision. Let’s mention some tips that you can follow before you select the best Forex broker.